As desert dwellers, they have adapted to drought conditions and can obtain all the water they require from their food. 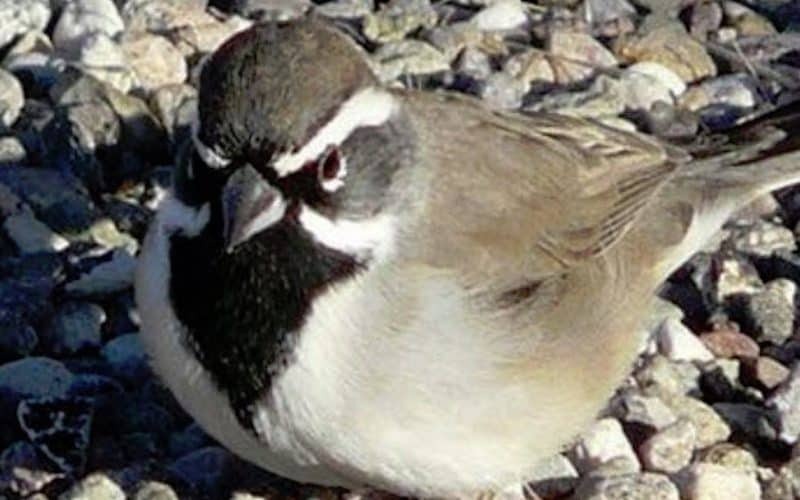 Black-throated Sparrows are year-round residents of Southern AZ. They are New World sparrows in the family Emberizidae. They breed in deserts and arid shrublands. They are easy to spot due to their distinctive black and white faces and black throats. The Black-throated Gray Warbler has a similar face pattern, but it has wing bars and a thinner bill. Black-throated Sparrows eat insects during the breeding season and seeds during the rest of the year. They may have two broods a year. Nests are on the ground or in a shrub no more than 3 or 4 feet above. They lay 3 to 5 eggs that take 11 to 14 days to hatch. Most sparrows appear socially monogamous (one male and one female defend territory and raise the young), although extra-pair copulations are thought to occur. Both parents feed insects to their young. As desert dwellers, they have adapted to drought conditions and can obtain all the water they require from their food. However, they will drink water if it is available. According to Audubon bird counts, this sparrow has disappeared from developed parks and residential areas, although they can still be found in abundance in Sabino Canyon and Catalina State Park. Their rate of decline since 1967 is 63%. This is due to habitat destruction. This photograph was taken on Bear Canyon Road near the start of the Lake Trail. These sparrows are often seen in Lower Sabino where we take the children.